What these elements—and other like them—do is create visual effects on a static page. This makes the page more dynamic and interactive. Don't block Googlebot. 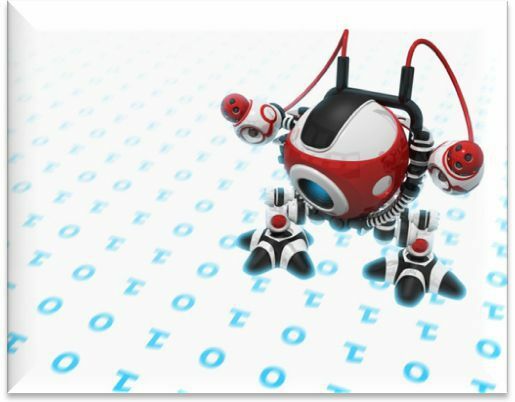 There are times when a webmaster or designer will block files on a site with robot.txt. This is usually done when a website is in development and is useful because it allows the site's builder to avoid being penalized by Google for a half-done website. The robot.txt is supposed to be removed when the site is ready to go live, but there are times when it isn't. If you want to know more about why this matters, a lot, check our article that details how one attorney's webmaster made a robot.txt mistake that nearly cut the success of his viral video off at the knees. Don't cheat. Every time Google announces a change, a group of people will react by trying to find a way around it, and this most recent change is no exception. So while black hat SEO companies may ask you to pay them to cloak your content—making it possible for real visitors and Google to see different things—know that shortcuts and cheats are never the answer. Ever! The Heart of the Matter: Will Your Website Be Affected by Google's Changes? While avoiding making the three mistakes listed above is a good first step, there is only one way to determine if your website will be dinged by Google: Test. Your. Website. I feel like I say this in every blog I write, but I cannot stress the importance of testing your website enough. In this case, you'll want to look not only for drop-off in pageviews, indicating the possibility that your site has dropped in search engine rankings, but for Googlebot's activity on your site. To do this, use Google Webmaster's crawl stat tool. Google's tool will give you a picture of how and when Googlebot has crawled your site in the last 90 days. If you're a client, and you'd like our SEO team to help you ensure that your site is still Google ready, shoot us an email or post to the DSS User's Forum. If you're not yet a member of the Foster Web Marketing family, call 888-886-0939 or fill out a contact form. We would love to help you not only navigate your way through the ups and downs of Google's updates, but create a site and write content that's Google-proof. Can your current web marketing firm say that?